If you look for beauty, you’ll find it – even in the most unexpected places. Toddlers giggling in a dirty street. Neat handwriting on a dusty blackboard. A hug between friends on a well-earned break from school. This stunning collection of beautiful pictures celebrates the surprising beauty we find in the world. I hope it will move you as you see the world through a child’s eyes. Poverty may rob a child of opportunities, but it should never rob them of their dignity. 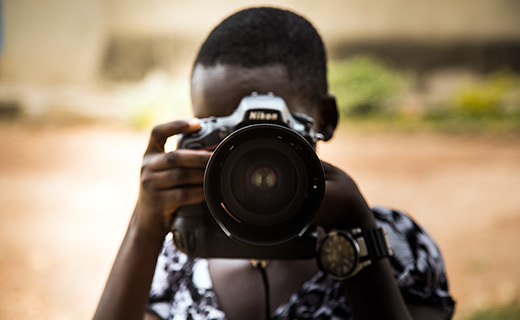 In our photography, we want to capture the truth of life in poverty. Suffering is never the whole story. These world images show the struggle of life in poverty, but they also capture kindness, resilience and love. 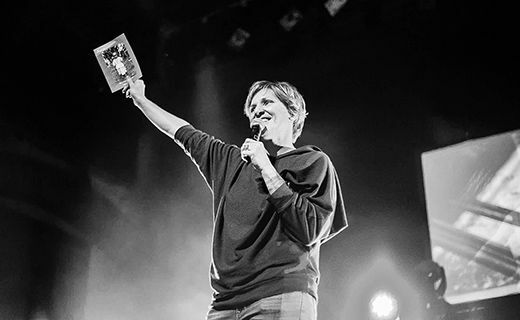 I hope these awesome pics inspire you. 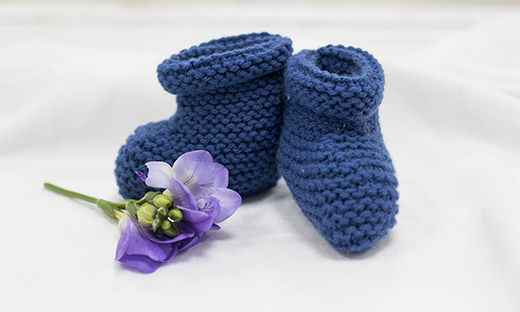 Patnaree takes some of her precious first steps, confident in her mother’s loving support. Now 14 months old, Patnaree is eating well – but that wasn’t always the case. 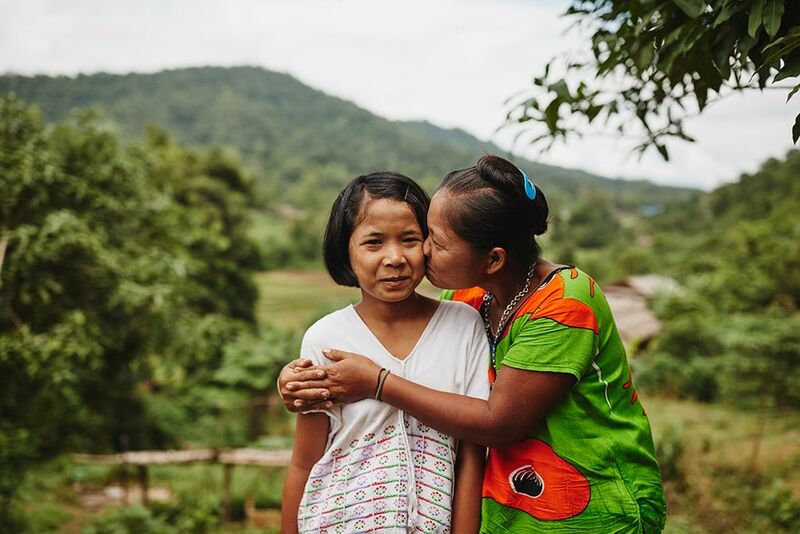 Thanks to help from the Compassion project in Thailand, her mother now knows how to choose the best foods to support her growing daughter. 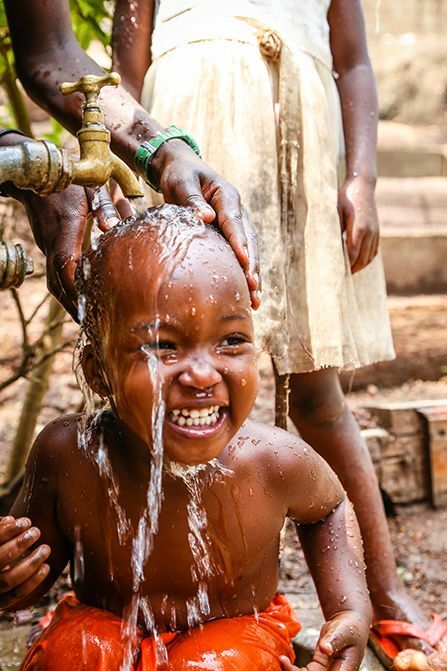 Clean water means the world to a child living in poverty. Less disease, less physical labour, less thirst. 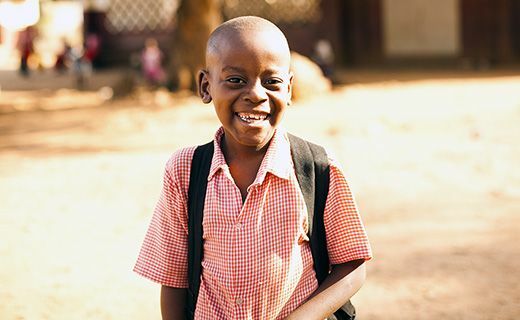 For children like this little boy in Uganda, Compassion works to improve hygiene and health – and above all, happiness. 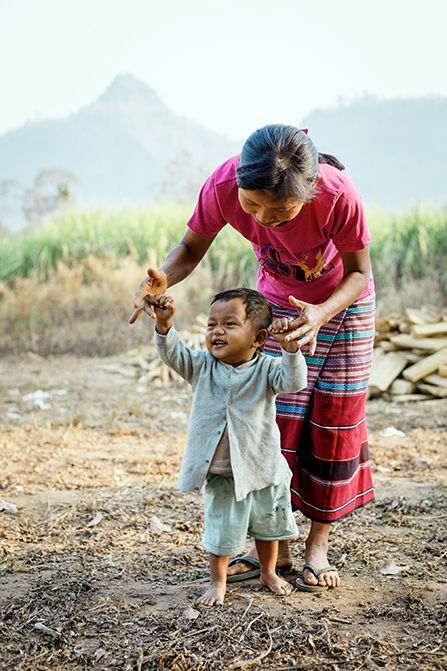 For 66 years, Compassion has cared for some of the world’s most vulnerable children. If there’s one thing we’ve discovered in all these years of charity experience: it’s that kindness makes the world a beautiful place. When we create relationships between child sponsors and children, both lives are changed forever. Poverty may threaten to steal a child’s future. 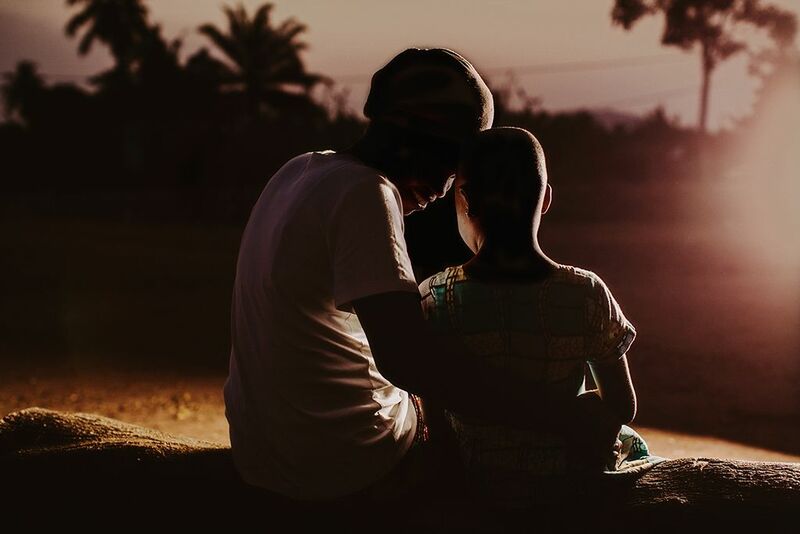 But these beautiful pictures show how sponsoring a child restores hope. 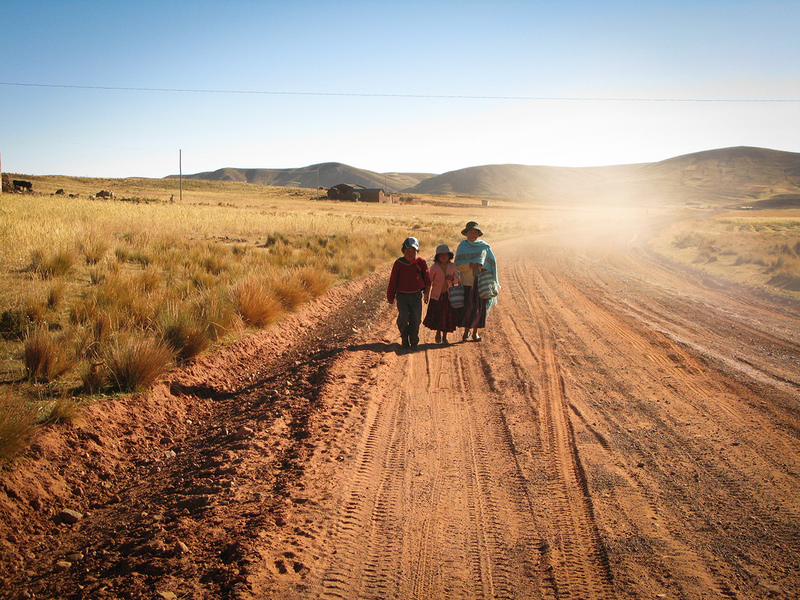 These children are walking along the road to their Compassion project in the High Plateau region of Bolivia. This “Altiplano” High Plateau region of Bolivia is the area where the Andes Mountains are the widest. Imagine a light switching on as a child learns to read. The sound of laughter as a child breaks out of their shyness to make friends for the first time. You can help to make these miraculous transformations happen when you sponsor a child with Compassion. 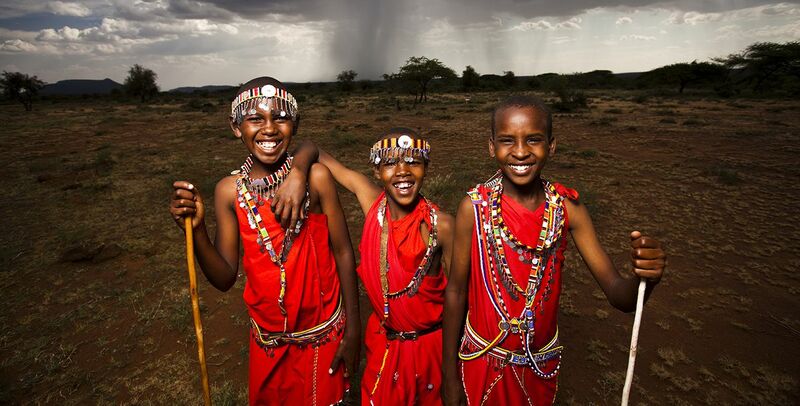 Enjoy this collection of amazing photography, showing children empowered by people like you. One in six children in low income countries didn’t finish primary school in 2015. 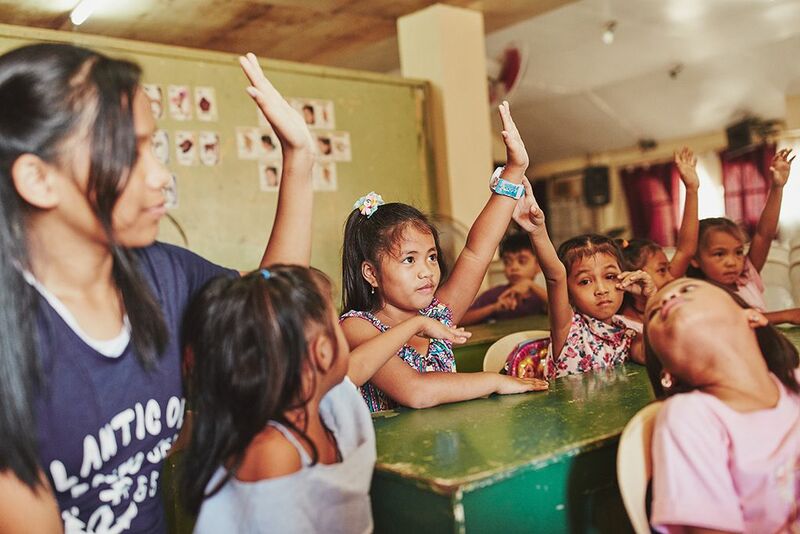 Compassion sponsorship is giving these kids in the Philippines the opportunity to read and learn together at Bicol Child Development Centre project. 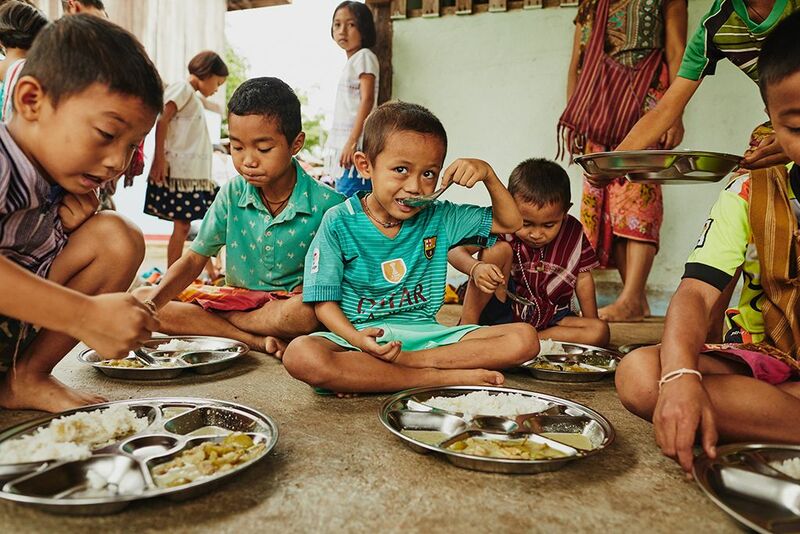 A good meal is vital for a child’s health and development – but food is so much more fun shared with friends. 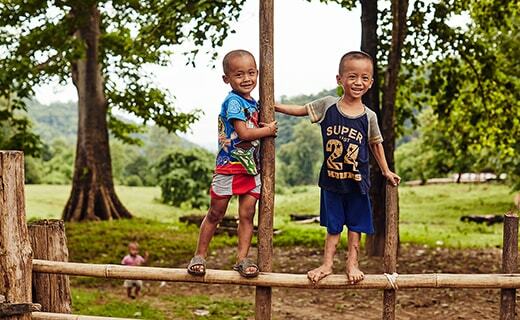 At this Compassion project in Thailand, children can improve their nutrition and enjoy the support of new friendships at the same time. No wonder they’re smiling! 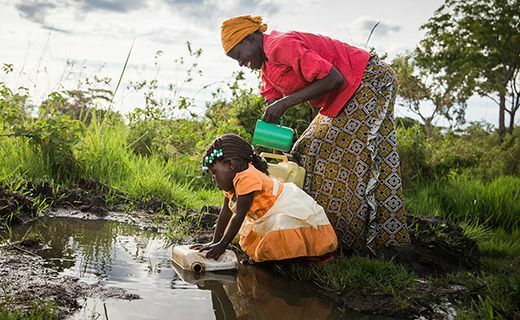 Imagine a life without access to clean water. 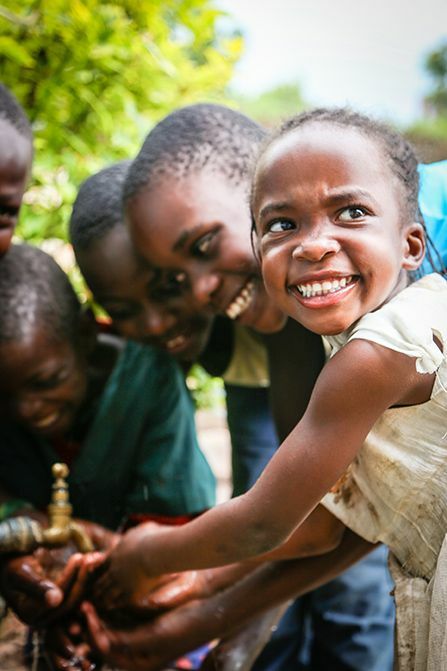 Basic hygiene beats disease and gives children the opportunity to thrive. 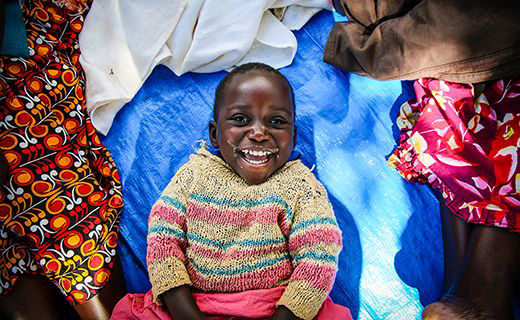 Thanks to support from Compassion, good health is now on tap for these Ugandan children. The world opens up when you can read. 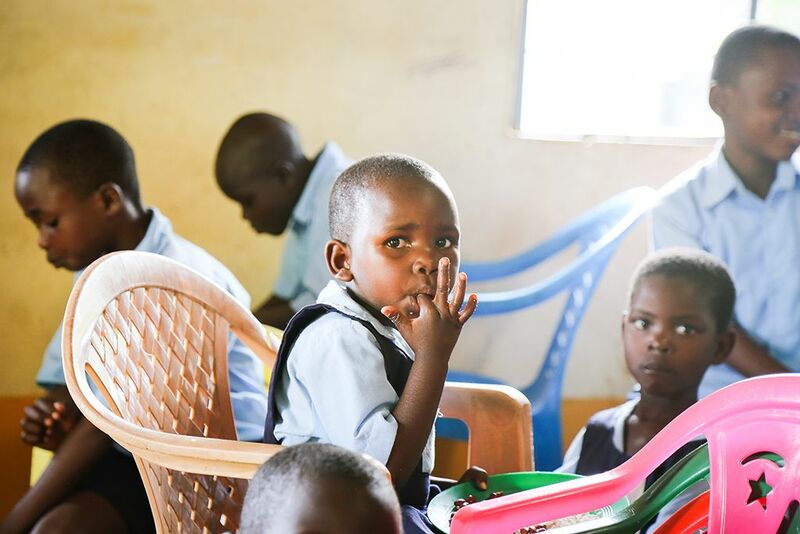 When Compassion sponsors support their children through school, they are breaking the cycle of poverty. School is an incredible opportunity in itself, but also the key to a brighter future. 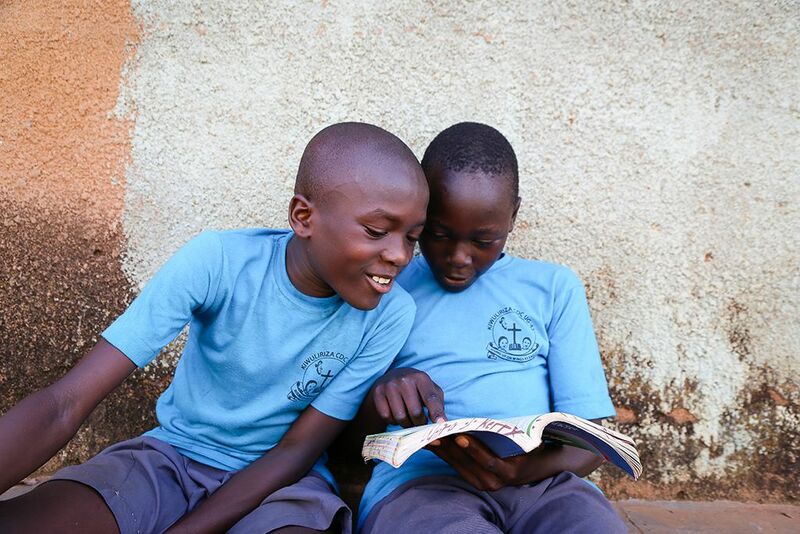 These boys share a discovery in Uganda. Splash! 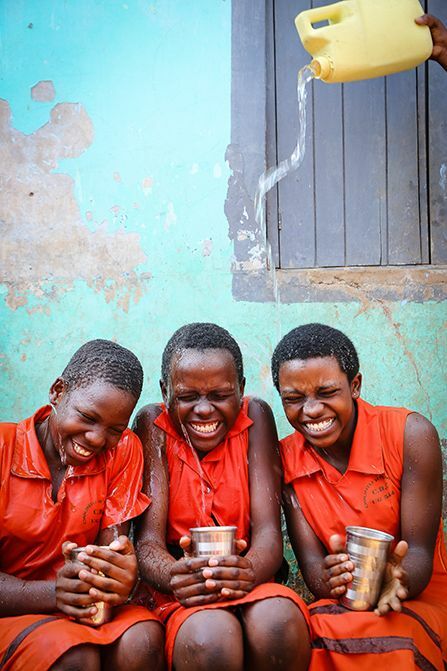 Clean drinking water is serious fun for these girls in Uganda. It’s life-changing, too. Teenager Jormo enjoys some time with the Bible at his home in Thailand. Compassion sponsors have the chance to write to their children and really develop a relationship, praying for their child and encouraging them. 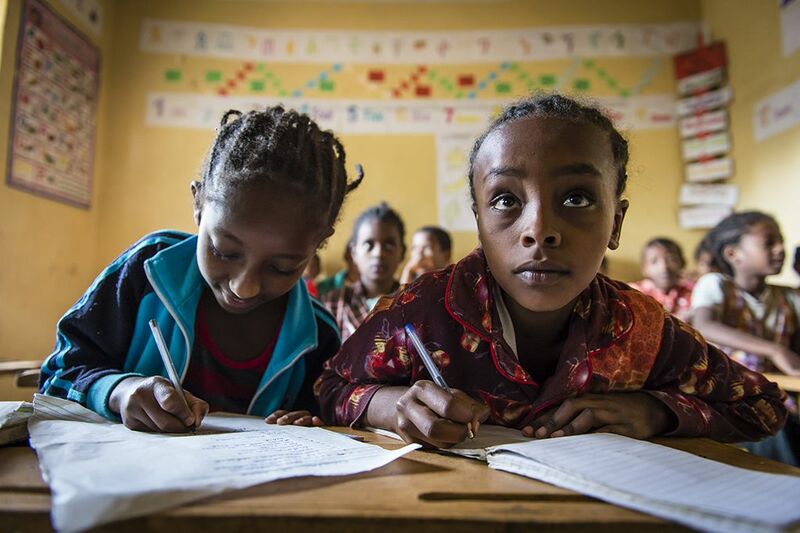 Knowledge is power as these girls love to learn in Ethiopia. It’s estimated there are 9 million girls in sub-Saharan Africa who will never have the chance to go to primary school. 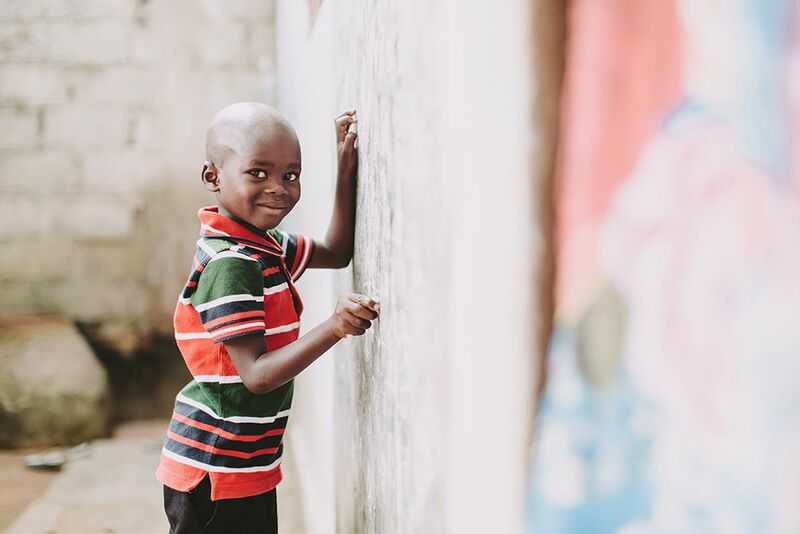 When you sponsor a child with Compassion, you are helping to rewrite this story. Kevin practises drawing and writing at a Compassion project in Togo. 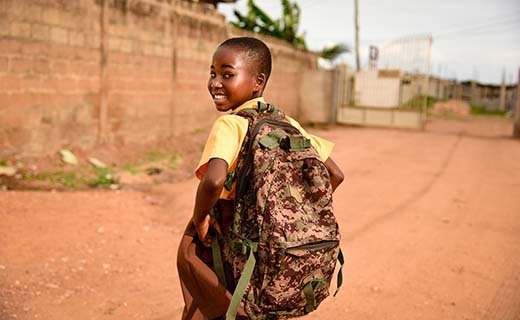 There are 61 million children of his age who can’t attend school, because of poverty, disease and the pressure to earn money from a young age. A child needs love to grow. At Compassion projects across the world, children are shown incredible love and care. Local project staff are there to support them, teach and encourage them. Each child also knows their Compassion sponsor loves and cares for them. Regular letters, translated into the child’s language, build a real bridge between the continents. Each of these breathtaking photos captures a moment of love shared. 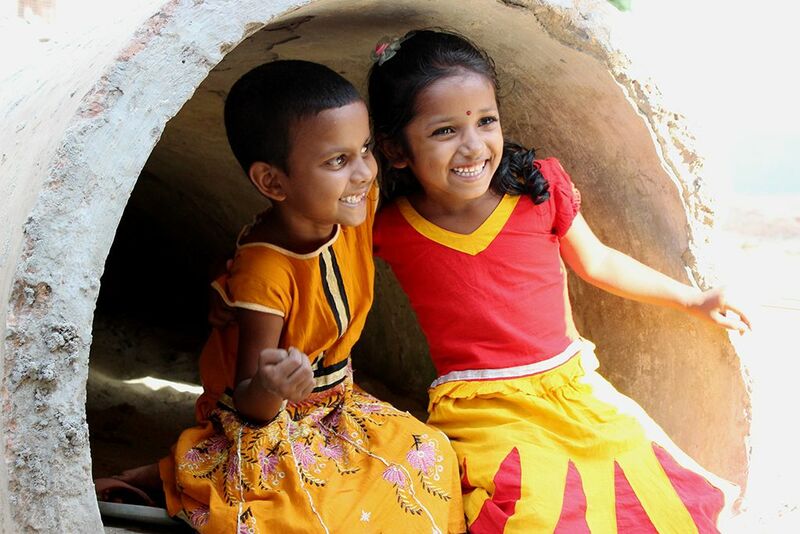 A beautiful friendship gives these girls in Bangladesh reason to smile. I didn’t think that I was a good mother because I sometimes complain to my son. But I realised that one thing about myself as a mother is I love my son and am willing to sacrifice my life in order to support and nurture him to a higher education and a better future. 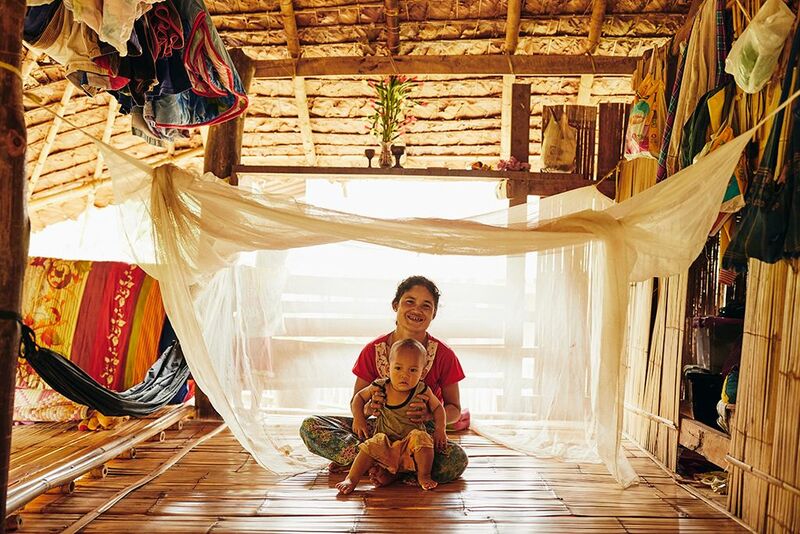 Three years ago, this mother from Thailand began to receive help from Compassion. She says, "Back then I was a single mum, looking after my children by myself. It was so hard for me. My daughter didn’t have a good life, she was very skinny and was becoming malnourished. Now my dream is for my daughter to become a teacher. She’ll be able to support herself, and her family, as well." This is what it’s all about. 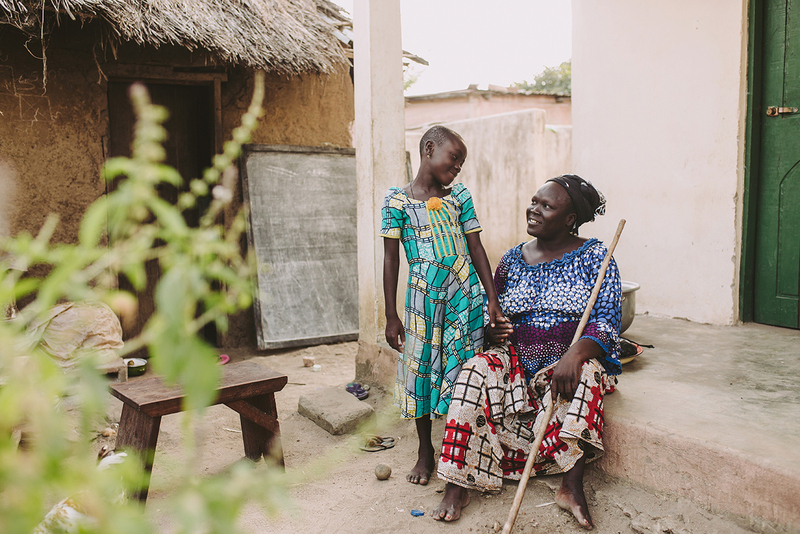 A beautiful moment shared between mother and daughter in Togo makes for a breathtaking picture. 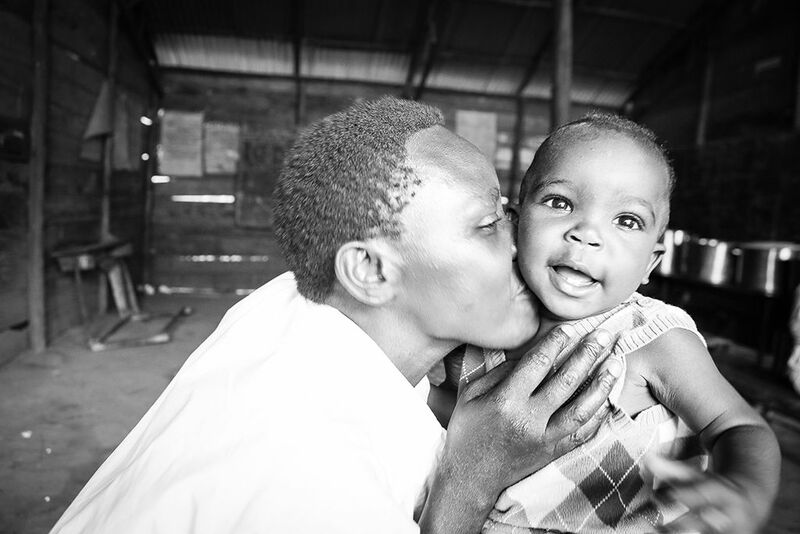 Mother Juliet embraces her nine-month-old daughter Miracle in Uganda. 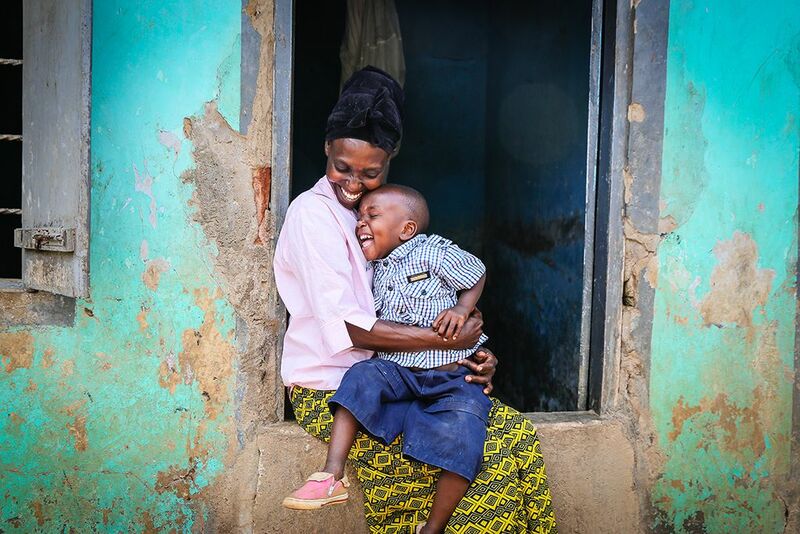 The joy is infectious as this mother and son share a joke at the Omuntu Womunda Child Development Centre, Uganda. People make the most beautiful pictures. 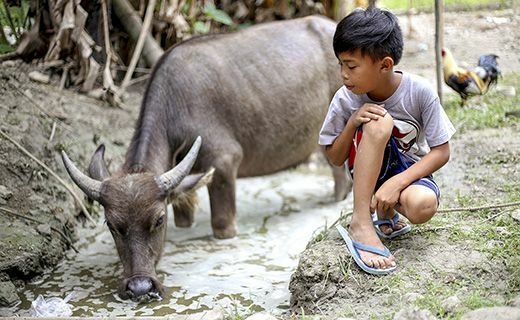 Enjoy some of the most amazing photos from around the world of people who have benefitted from Compassion’s work. 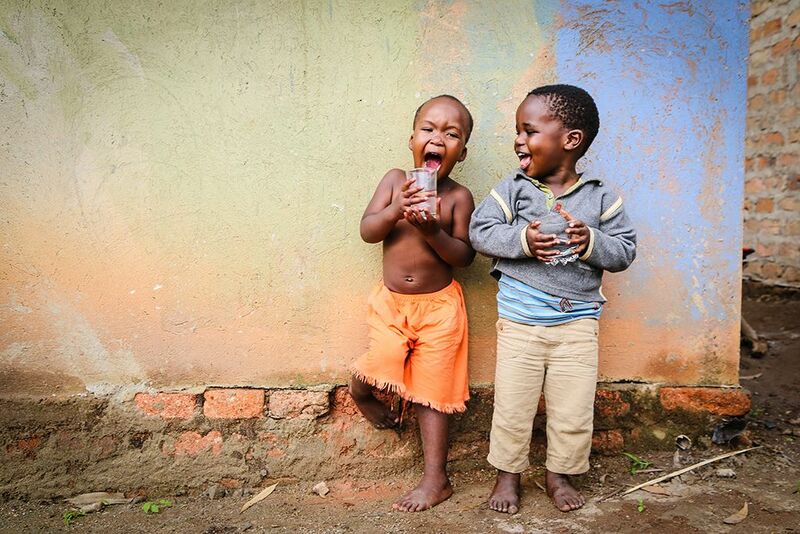 It’s hard not to join in the giggling with these two toddlers in Uganda. Children enjoy a nutritious meal at school in Uganda. 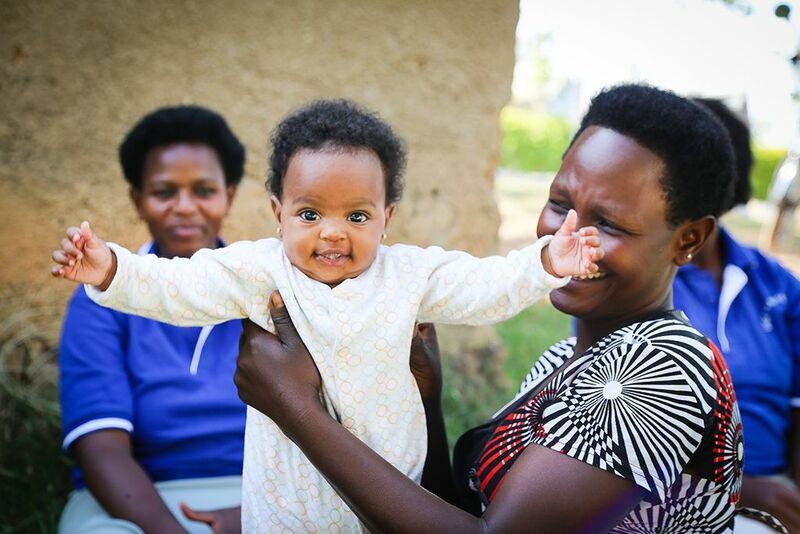 This beautiful baby takes a break as her mother learns about basket weaving to generate an income in Uganda. 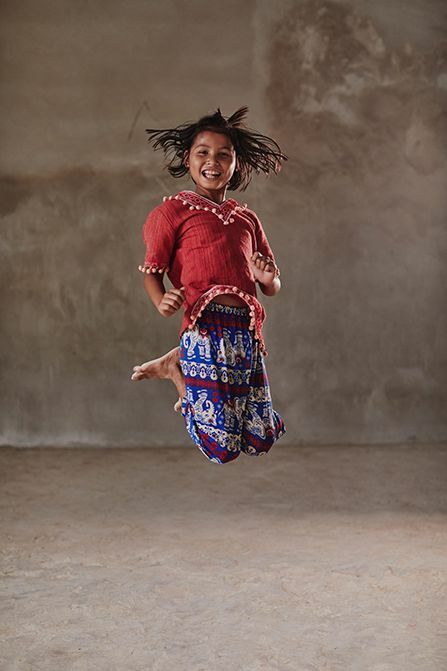 Chamuewa jumps for joy in Thailand. 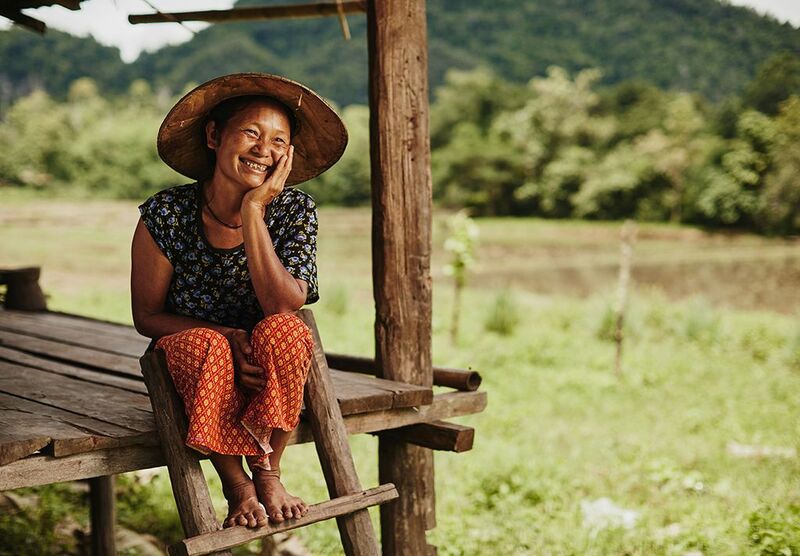 Goat farmer Ma-aeh earns a living to provide for her family in rural Thailand. 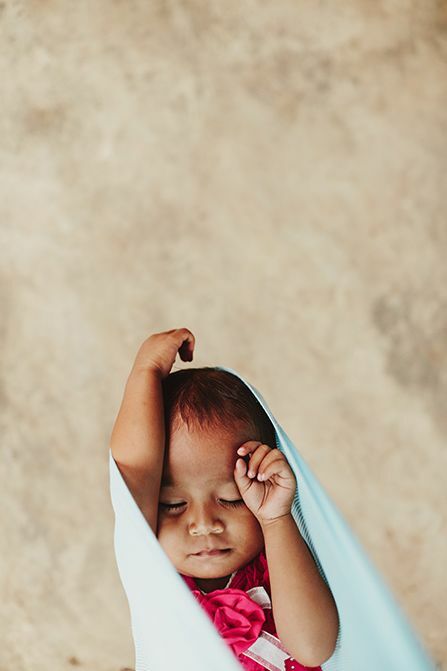 Sleeping in heavenly peace: a baby naps during Christmas celebrations in Indonesia. 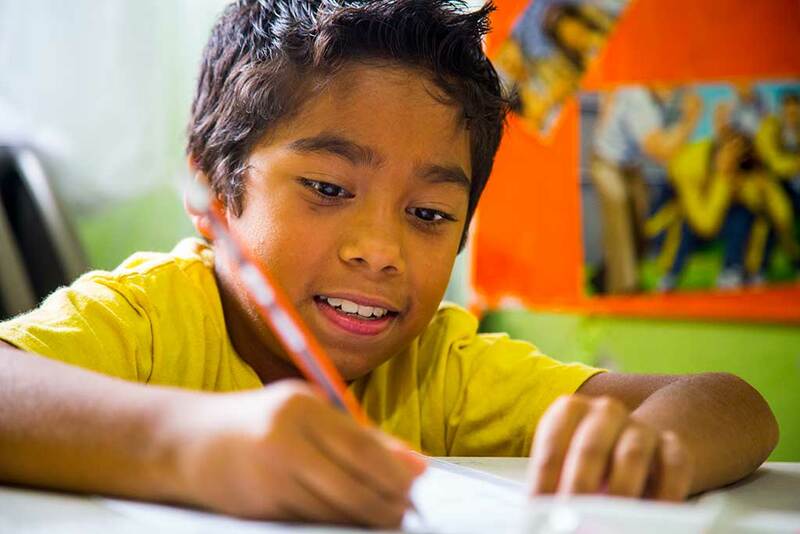 A boy shares a beautiful smile while writing a sponsor letter in Mexico. 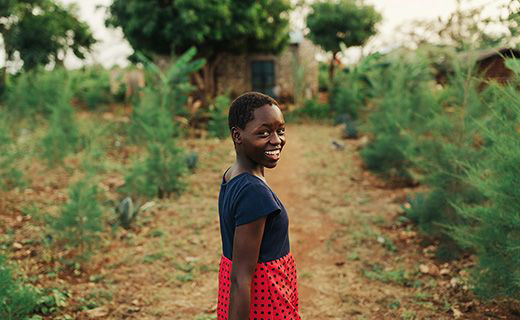 Enjoy these beautiful pictures of Africa, telling the story of Compassion’s work on the continent and the kindness of strangers who reach out as sponsors. “I want to be a doctor when I grow up. 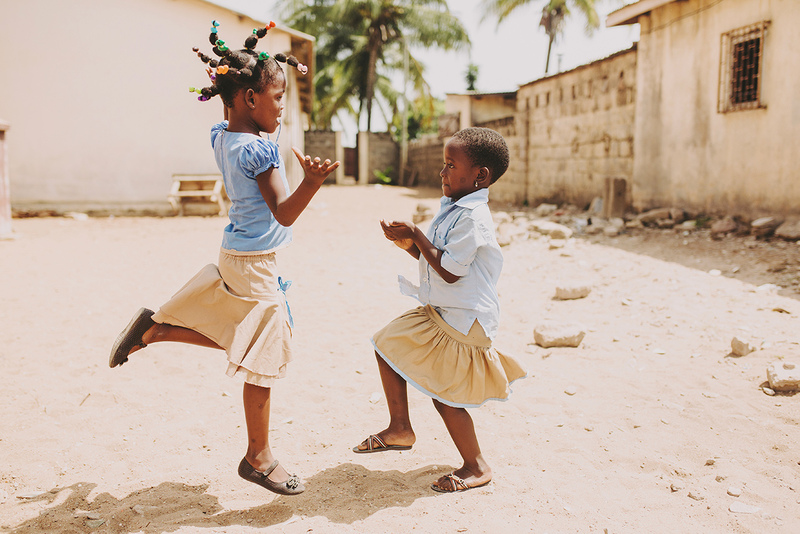 I will be glad when people come to me and I will give them shots and pills and then they will be okay.” In the meantime, there’s plenty of time for play for these girls in Togo. 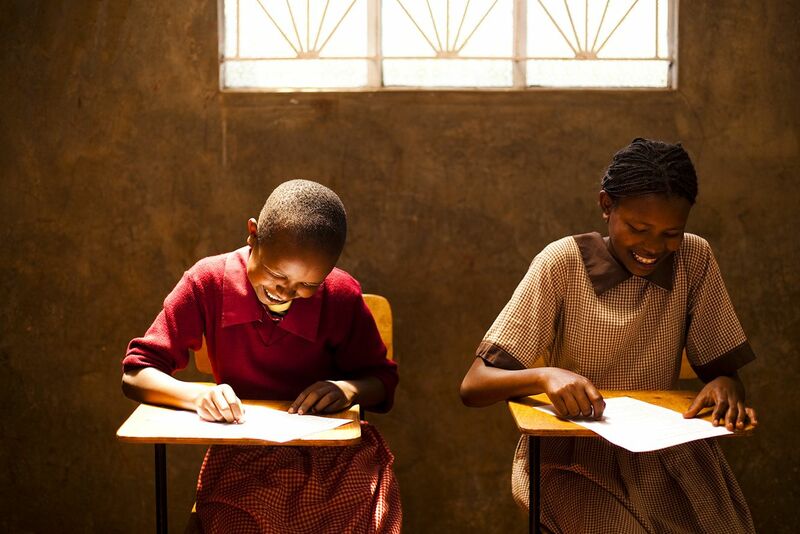 Education lights up life for these young students in Kenya. 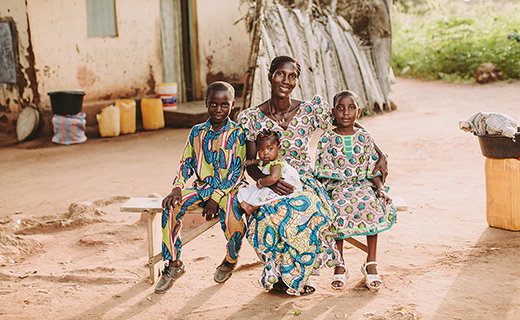 “The biggest surprise about having my daughter in the Compassion project is all the support they gave us in every aspect,” says this mother in Togo. 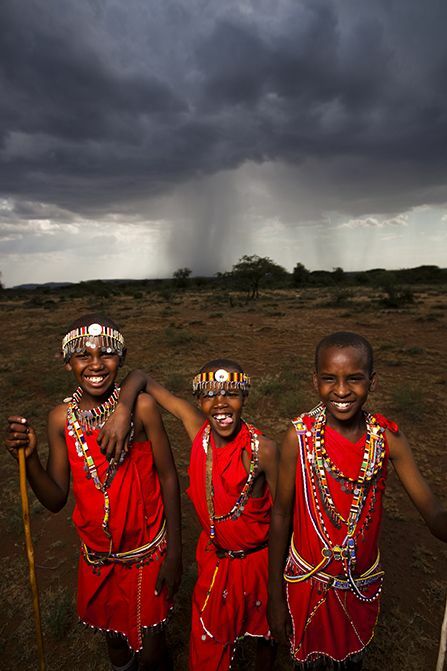 Masai boys smile as the storm clouds gather behind them in Najile, Kenya. 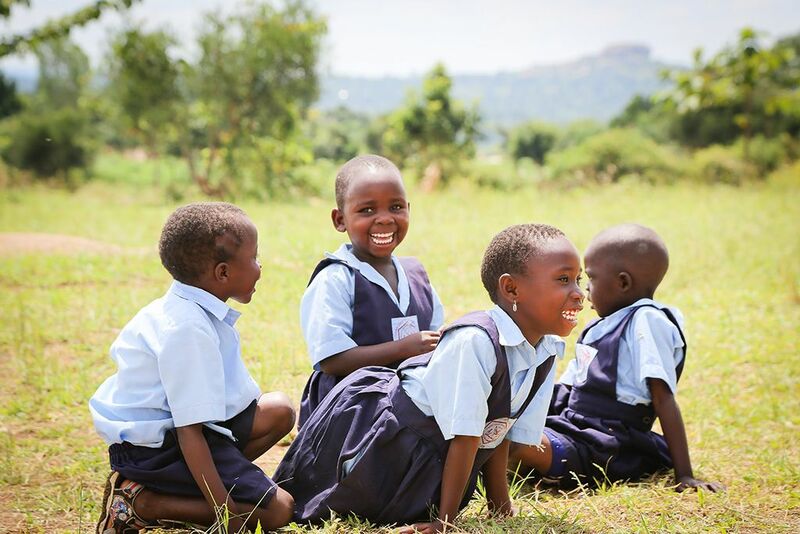 A break from lessons is a chance to have fun for these school children in Uganda.